Sponsored by the Academy of Nutrition and Dietetics to encourage healthy eating and sound physical activity habits, National Nutrition Month occurs every March. This year’s theme is Eat Right, Your Way, Every Day. This encourages personalized healthy eating habits for everyone without being too strict for people to follow. This is a realistic approach that can work for anyone and everyone, because what you eat is based on a variety of different things; taste preferences, cultural and ethnic traditions, lifestyle, food allergies, health conditions or health goals. This means that most one-size-fits-all approaches will not work. Many times when people focus on a diet, they are in a state of deprivation, usually due to weight loss goals. As a registered dietitian, I challenge you to continue to watch your portions instead of skipping meals. I also encourage you to incorporate healthy, nutrient dense food into your daily meal plan. According to the MyPlate food guide, half of your plate should be fruits and vegetables, they are nature’s fast food and offer lots of color, vitamins, minerals and fiber to your diet. 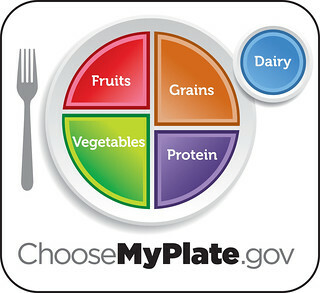 While one-fourth of your plate should be lean protein choices, such as chicken, fish, tofu, beans and legumes. Lastly, the final quarter of your plate should come from whole grains, like brown rice, quinoa, or whole wheat bread or pasta. Also don’t forget to include some low-fat dairy and plenty of water to your daily routine. Heart disease is the number one killer of men and women. In Michigan 1 out of every 3 deaths is due to cardiovascular disease. Michigan also ranks as 15th in the nation for prevalence of diabetes. Diabetes prevalence has increased by 15% in the last 5 years. With the prevalence of these chronic diseases; heart disease, high blood pressure, and type 2 diabetes making healthy lifestyle changes becomes even more imperative. A healthy well-balanced and portion-controlled meal plan is part of the solution to being healthier.